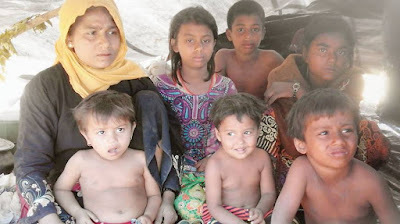 Cox's Bazar, Bangladesh -- The systematic way in which Myanmar security forces are killing Rohingya Muslims in the country’s Rakhine state is nothing short of genocide, said the Rohigya refugees at Kutupalong refugee camp in Cox’s Bazar. Speaking to the visiting members of Advisory Commission on Rakhine State – also known as Kofi Annan Commission – on Monday, the refugees described the horror of the ongoing military persecution in the Muslim-dominant areas of Rakhine. The commission members spoke with 40 women, 12 children and 18 men to get the first-hand accounts of the torture being inflicted on Rohingyas by Myanmar security forces, said Abu Siddique, chairman of Kutupalong unregistered refugee camp. Mohammad Younus, a Rohingya who was born in Kutupalong camp, acted as the interpreter between the refugees and the commission members. “How many people have to die before you will call it a genocide? Because there is a genocide going on in Rakhine,” said a Rohingya, who fled the crackdown in a new influx of refugees, directing the question to commission chief Kofi Annan. Listening to the refugees, the visitors asked them to be patient for a few more days and assured them that the stories of their suffering would be relayed to the rest of the world and they would find a solution to the crisis soon. 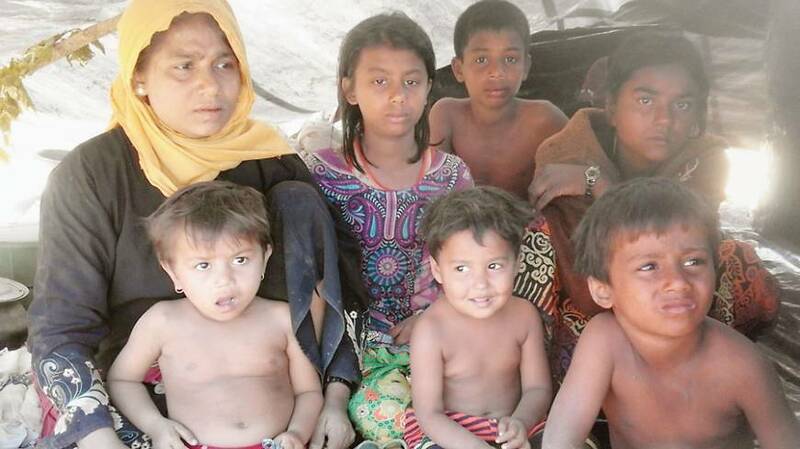 The Rohingyas also expressed their willingness to return home if the situation improves, camp chief Siddique said. The commission members – Myanmar National Human Rights Commission Chairman U Win Mra, Core Member and Founder of Religions for Peace in Myanmar U Aye Lwin and former Lebanese minister of culture and UN Special Adviser to Secretary-General Ghassan Salame – visited Kutupalong and Balukhali refugee camps in Ukhiya upazila and Leda, Shamlapur and Nayapara camps in Teknaf upazila on Sunday and Monday. Bangladesh Ministry of Foreign Affairs Joint Secretary Md Baki Billah, officials of Cox’s Bazar administration and representatives of the UN High Commissioner for Refugees and International Organisation of Migration were a part of the delegation as well. Headed by former UN secretary-general Kofi Annan, the nine-member Advisory Commission was formed in August 2016 as part of Myanmar’s national initiative to resolve the long-standing issues in Rakhine. The commission consists of three international and six Myanmar individuals of eminence. According to UN estimate, at least 66,000 Rohingyas have fled Myanmar and taken refuge in Bangladesh since October 9, 2016.